Joe was born in 1963 in rural Southwestern Indiana. He joined the US Army Reserves after graduation. He fulfilled his military obligation in 1988. At the age of 22 he met fellow Hoosier, Julie. Julie was born in 1969 in the same county as Joe. They were married in 1987. Joe held positions in various manufacturing environments in the cable, automotive and steel industries. These positions lead to supervisory positions of various levels. Joe left the manufacturing field after 25 years for work in the underground coal mine in 2004. Julie held various administrative positions over the years. Her last position was working for the same coal mining company that Joe eventually joined. They spent 18 years of working unfulfilling jobs and never having time off together. So after discovering an opportunity to not only work together but to work with animals, it was decided to take a leap of faith. 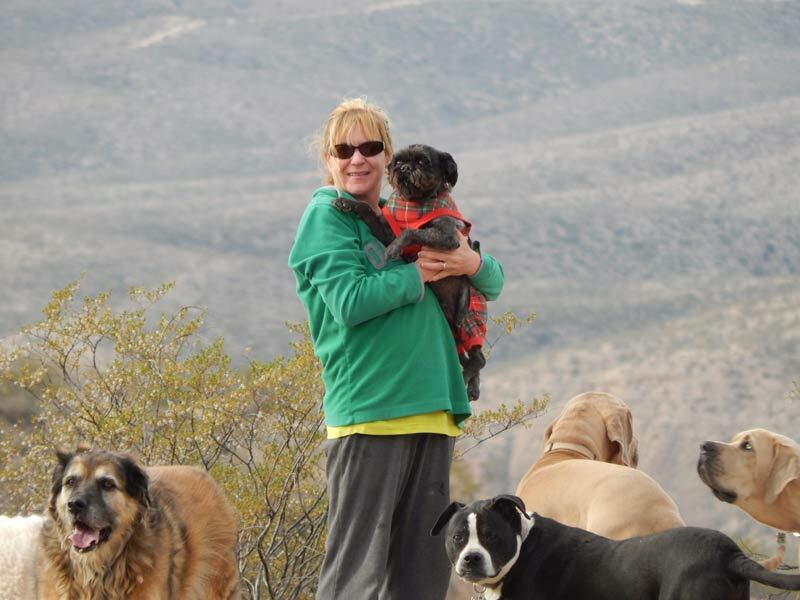 In 2005, they left Indiana for Arizona and became animal caregivers for The Oasis Sanctuary. Joe was ultimately promoted to Executive Director of Operation. He still holds this position today where he works with contractors overseeing new construction. He also handles repairs, maintenance, daily field operations while continuing to serve as an animal caregiver. Julie’s position is Associate Director. She does various administrative tasks while continuing to be an animal caregiver. Julie also serves as the Volunteer Coordinator.